The HVAC system heats your home during the cold winter months and keeps your home cool in the sweltering summer. 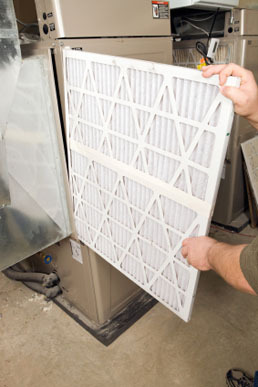 Regularly changing the HVAC air filter is critical for its long life. The air filter keeps pollution and debris out of your HVAC system, ensuring proper and efficient operation. A dirty filter will slow down the air flow, making both the furnace work harder to heat your home and your AC work harder to cool it. This wastes energy and can result in higher energy bills. 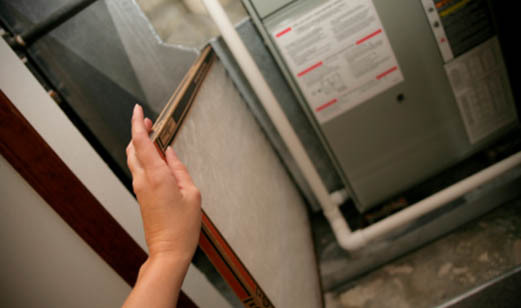 Depending on where you live, the time of year, and how much you're using your AC or furnace, you may end up having to change your air filter more frequently. For instance, during a steamy summer when you're running your system constantly, you may end up having to change the filter more often than if the weather is nice and you're relying on open windows. Simply slide the new filter into place. There are arrows on the new filter to indicate which side should be facing the outside air. Remove the old air filter and slide the new filter into place. Changing your HVAC air filter should be simple, but if you are unsure, you can always call a professional at Self Heating & Cooling!